We process only the freshest oysters sourced from premium established farms in Australia. We supply everyone from individual oyster lovers to Perth’s finest restaurants. Please give us a call. Areas famous for nutrient rich seawater. – BST adjustable long line growing method. The BST growing method developed by three SA oyster farmers has revolutionised oyster farming throughout the world. In addition to great taste, SA oysters have a unique deep cup and outer shell cleanliness. They may get a green tinge in their gills at certain times of the year. This comes from the natural algae in the water column and is perfectly safe to consume. From March to early January. In early March the oysters return from spawning and gradually build up their fat till November. Water temperatures begin to rise during November and the oysters begin their reproductive cycle until mid January. Oysters are harvested, graded, packed in hessian bags and placed in chillers. Within 12 hours they are dispatched across Australia and overseas, labelled with harvest date, area, lease number, grower name, the grade of oyster and consume by date. 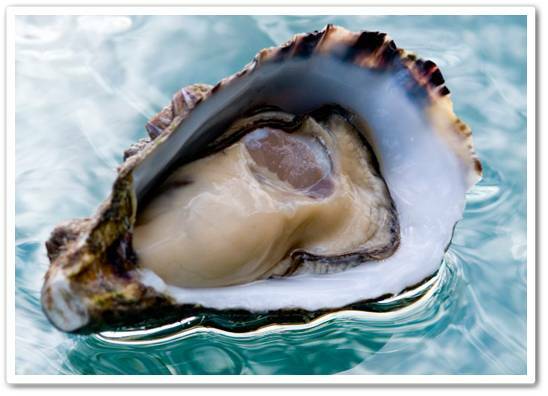 Live whole oysters – 8 days from date of harvest at 2 to 5 degrees celsius. Opened oysters – maximum 4 days at 2 to 5 degrees celsius. There approximately 150 farmers with about 270 licences employing 350 people directly and further 680 indirectly. 2002 sales indicate SA production was about 35 million oysters that year. Located 240kms south east of Australia, far away from any of the world’s polluted areas. A stunning land surrounded by pristine cool ocean that produces premium quality pacific oysters. Each area has unique characteristics. Operating under the Tasmanian Shellfish Quality Assurance Program (TSQAP) and the strict QA and HACCP programs for all domestic and export oysters. Our Tasmanian partners are committed to long term growth through strict eco-friendly procedures when growing, harvesting and packaging all oysters. Pacific oysters when whole and live must be stored at 3 to 4 degrees celcius. They will keep well for eight days from harvest date. For best taste, eat as soon as possible. Commencing operations in the Albany region in 1990, from which time we have been growing shell fish products (Sydney Rock Oysters and Blue Mussels) in the pristine enviroment of the Southern Ocean. – Grown and cultured in the pristine unspoilt waters of the Southern Ocean where industrial pollution is unheard of. Four medium size oysters provide the recommended daily allowance of selenium, iron, magnesium, manganese, omega – 3 oils, phosphorus, zinc, and vitamins B12 and are low in cholesterol. Delightfully luscious in taste.. an ultimate challenge to a chef’s culinary creativity. Fresh – Straight from the farm. Oysters are transported and delivered in chillers the same day as harvested. – Accredited with Quality Assurance Certificates by the Australian Quarantine and Inspection Services, to any fear of our shellfish not being a safe bet for the health-concious. Loosing condition from June through to september. Slow growing for concentrated flavours, taking three years to fully mature. – A true gorumet delicacy with a soft silky texture, providing a smooth creamy infusion on the palate. Beast eaten fresh on a half shell. Live whole oysters – kept in excellent condition 8 days from the harvest date at 7-10 degrees Celsius.